BASEBALL: After winning just one of its past 10 games, Brisbane faces a huge task when it hosts ABL ladder leaders Perth in a four-game series starting tomorrow night. The Bandits (4-10) have dropped to last on the table, while the Heat (10-5) is on a four-game winning streak. 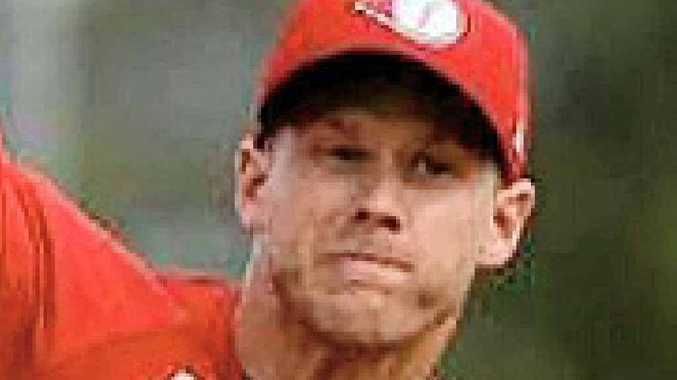 The Heat's Mike Ekstrom is the league's most dominant pitcher with a miserly 0.31 ERA, allowing just 13 hits all season. Despite their record, the Bandits have been competitive, losing by either one or two runs in four of their past six defeats. After being swept by Perth at home last weekend, Sydney (7-7) will try to get its campaign back on track on the road against Canberra (10-5) in their four-game series starting tonight. In the final series of the round, Adelaide travels to Melbourne for a four-match contest starting tomorrow night, with Adelaide fresh from a round-five sweep of the Bandits.